If you are a UK-based player at 888Poker, the site is running a very special Bros vs Pros promotion ahead of the 888Live London event later this month. 888Live London takes place at Aspers Casino in Stratford from Thursday 22nd November to Monday 3rd December. The packed schedule features a Crazy-Eights-themed Opening Event, two valuable High Roller tournaments, a special Ladies Event, and a £400,000 guaranteed Main Event. There will also be plenty of live satellites and cash game action running around the clock. 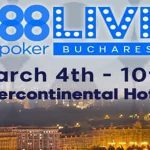 Every player has the opportunity to win a package to 888Live London via a comprehensive satellite schedule currently underway at 888Poker (check out the 888Live London Festival Main Event Qualifiers under the “Live Events” tab in the tournament lobby). However, if you are a UK-based player, 888Poker is hosting an exclusive promotion in which you can win the Main Event buy-in plus much more for free. This coming Wednesday (14th November) and this coming Saturday (17th November), 888Poker will be running $1.00 buy-in “Bros vs Pros” tournaments at 9:00pm (GMT). Each tournament has an $888 cash prize pool and, as well the $1.00 buy-in, the tournaments will be password protected. The passwords will be released via 888Poker´s social media channels each day. A seat in the £1,100 buy-in 888Live London Main Event. Tickets for the Arsenal vs Spurs London derby on Sunday 2nd December. The £1,000 buy-in for a special Bros vs Pros cash game. The “Bros” element of the promotion is that the winner will be able to take two friends with them to the Arsenal vs Spurs soccer match and invite their friends to play in the cash game. The “Pros” element of the promotion is that, in the cash game, the Pros will be represented by Scott Blumstein, Michael Mizrachi, Dominik Nitsche, Parker Talbot and Vivian Saliba. Good luck with that! If competing in live events is not your thing, and you would rather relax in the comfort of your home with a few hands of poker, there is still plenty of time to cash in 888Poker´s “Wild Hunt” promotion. This promotion is particularly good inasmuch as all you have to do is complete simple challenges in order to win seats in twice-daily freeroll tournaments (at 5:15pm and 9:15pm GMT). Each freeroll tournament has a guaranteed prize pool of $2,000; but, before each tournament starts, a random “wild” amount of up to $18,000 will be added to the prize pool – so you could be playing for a share of $20,000. The top prize is scheduled to be added to the prize pool once a week on average, so there is plenty of incentive to take part in this promotion before it ends on 4th December. The freeroll tournaments have a unique payout structure inasmuch as the top nine players will receive the same amount (between $5 and $500 depending on the final prize pool), players in places 10 to 100 will win between $2 and $50, while every other player in the top thousand spots will get a cash prize of between $1 and $10. So you don´t actually have to be very good at poker to cash in this promotion. If you are not yet playing at 888Poker, the site is offering players a no deposit bonus of up to $88 simply for downloading the poker software and creating an account. 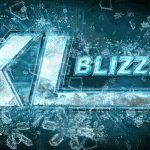 The actual amount of the bonus and how it is released varies according to where you live – for example, UK players receive a $32 no deposit bonus (£20) comprised of tournament tickets released during the seven days after your registration. Nonetheless, the no deposit poker bonus offer is a great way to experience the site without risking any of your own money; and, once you feel confident in your abilities, you can also take advantage of our exclusive 100% match on your first deposit up to $600. 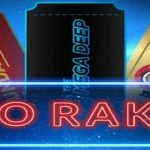 Full details of the no deposit poker bonus and the first deposit bonus can be found in our 888Poker review.